If swimming, surfing, biking, snowboarding, running, and hiking sound like the average weekend for you, Garmin’s fēnix 3 is the multisport GPS watch that just might sell you on the merits of wearing a smartwatch—especially now that there’s a version with a heart rate monitor built-in. 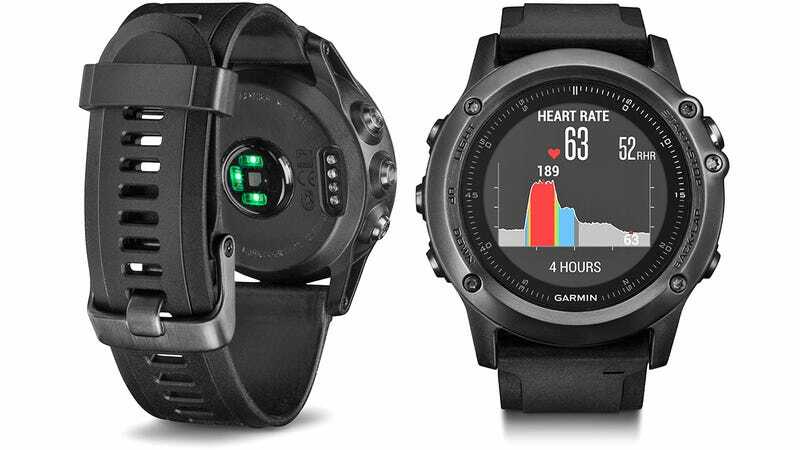 Instead of jumping to version 4, Garmin is revealing some worthwhile updates to its fēnix 3 multisport watch at CES this year, including a new $600 model called the fēnix 3 HR that includes the company’s optical heart rate technology so that athletes monitoring their vitals no longer need to wear a cumbersome chest strap while they train. The other new versions of the fēnix 3 watches being introduced this year include a premium $800 model on the left featuring a light but incredibly strong and durable titanium strap and bezel, and a $600 version, on the right, that you can wear with leather and nylon bands for a more casual look. The update also includes new activity profiles for stand up paddleboarding, rowing, and golf, and through the Garmin Connect mobile app running on a smartphone, users can access and download more than 40,000 different courses around the world turning their $600 smartwatch into a wristworn score card.